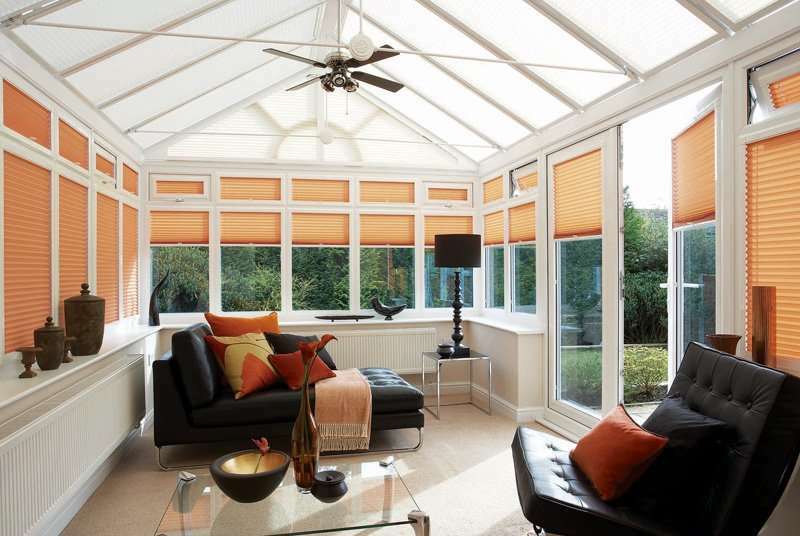 Why choose blinds for your conservatory? Conservatories, by their very nature, have lots of windows. This makes them lovely light, bright places. However, it also makes them susceptible to glare from the sun, and can leave them chilly in the winter. 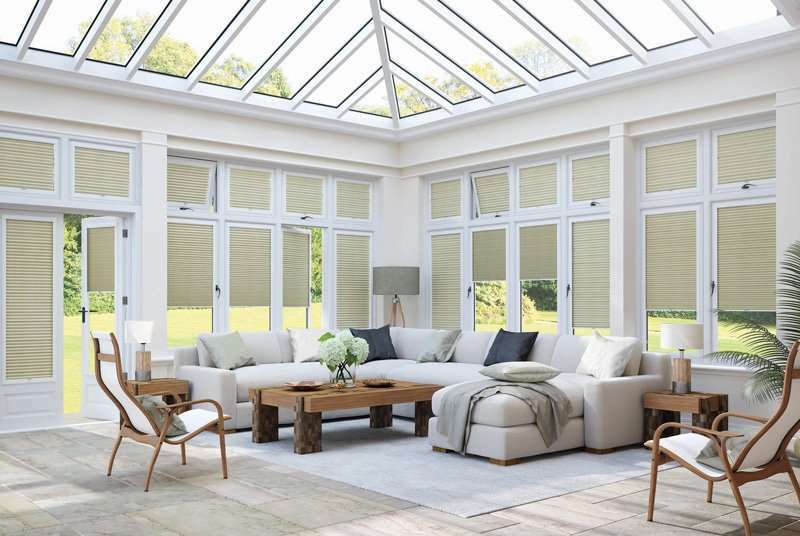 Choosing the right blinds for your conservatory can make all the difference, not only to the look of your room, but also to how functional the space is throughout the year. With a wide range of options available, blinds are a flexible yet practical solution. 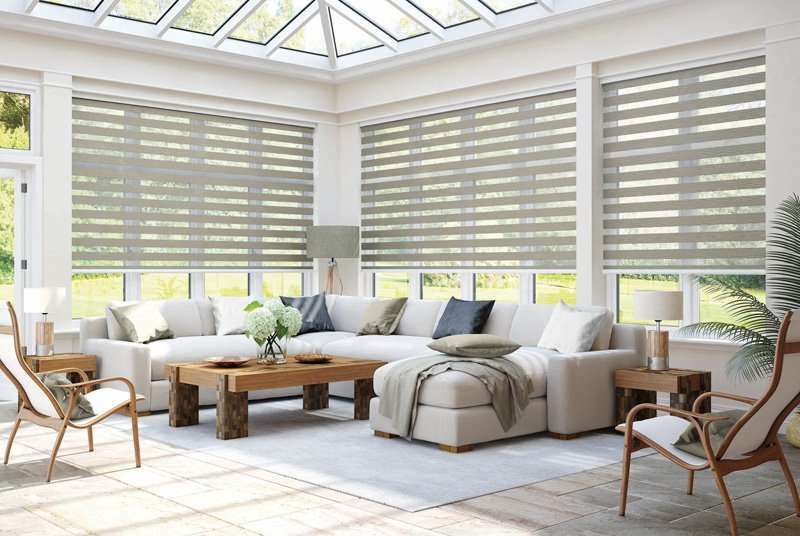 We offer a wide range of different blinds, from traditional roller blinds to contemporary Vision blinds. All of the styles we sell can be used to bring a splash of colour to your conservatory, but some are more suited to this type of room than others. 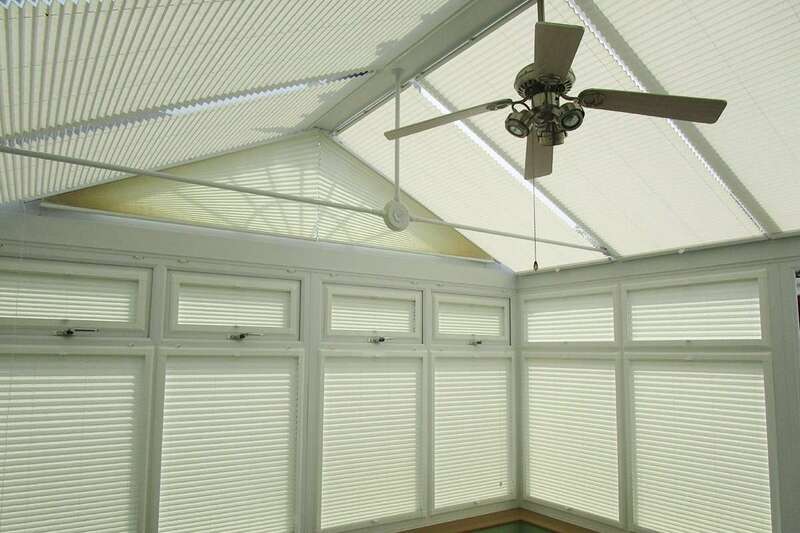 Cellular blinds, for instance, not only look great, they also have really effective energy efficiency properties, helping to keep your conservatory cool in the summer and warm in the winter – an added benefit. We can fit blinds to the roof of your conservatory, and can even take care of shaped windows. We can motorise all the blinds so there’s no problem with trying to reach them. Take a look at our case study here. We’ll come to you and bring samples of our blinds and fabrics, taking the time to explain the pros and cons of all the different options and helping you choose the right solution for your room. 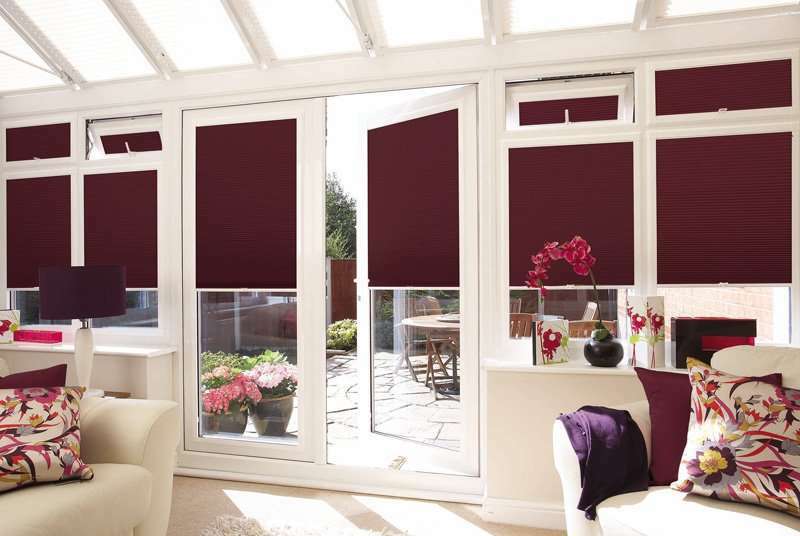 High quality – we pride ourselves on quality blinds and service, every time.